Are you a perfectionist? Well, that’s just fine with cosmetic dentist Dr. Jorgenson and the team at Advanced Dental Care in Costa Mesa. We actually want your smile to be perfect. If there is a slight imperfection in your smile—the one that everyone says “oh, it’s nothing, just ignore it” about—we want to fix it. With cosmetic bonding, Dr. Jorgenson can give you the perfect smile you deserve. Why Choose Advanced Dental Care for Cosmetic Bonding? If any of these circumstances are marring your beautiful smile, then ask Dr. Jorgenson about cosmetic bonding. You will likely be quite pleased by the results of this short and simple procedure. When we say short and simple, we really mean it. Cosmetic bonding usually requires no more than one scheduled appointment. And even better, there is almost never a need for local anesthesia. You’ll leave the convenient office of your Costa Mesa dentist with your new smile and no residual discomfort. With cosmetic bonding, Dr. Jorgenson uses composite resin material to reshape or rebuild your tooth. 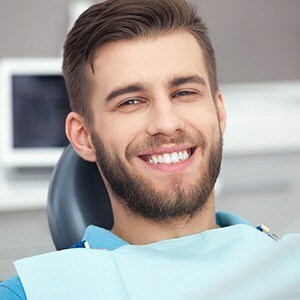 This is the same material we use to repair a cavity with a tooth-colored filling, so you can be certain that the color will match your teeth and the results will be strong and durable. The putty-like resin material is applied to your tooth, and then Dr. Jorgenson carefully and artfully sculpts the material, which is then hardened with a curing light. This process is repeated until the perfect shape is achieved. Then, your new tooth is buffed and polished to match the translucence of your other teeth. In practically no time at all, that bothersome little flaw is gone, and you have a smile any perfectionist would be proud to share! If there’s a little something about your smile that bothers you, then don’t just live with it. Call Advanced Dental Care in Costa Mesa, CA and learn more about cosmetic bonding. Dr. Jorgenson will be happy to consult with you and show you how a little composite resin material can make all the difference in your smile. We are happy to serve patients from Irvine, Newport Beach, Huntington Beach, and beyond.